Are ADHD stimulants overprescribed in children? The preponderance of Attention deficit hyperactivity disorder in children aged 4-17 in 2011 was 11%. Around 6.4 million children in that age group were diagnosed with ADHD, and 4.2 million were prescribed psychostimulants, according to the CDC. Attention deficit hyperactivity disorder is a neurodevelopmental mental disorder where one has difficulty controlling behavior, problems paying attention, etc. Stanford Newmark claimed in The Wall Street Journal that a good amount of children are diagnosed after a 15 to 20 minute visit with a pediatrician. There are many opinions regarding overprescription of stimulants to children with ADHD. Some believe this increase is due to a misdiagnosis at an early age of childhood in children who are commonly immature. Others believe that the over prescription is simply a myth and that there is insufficient evidence to support it. ADHD is very real, but there may be some alternatives before going straight to the pill. So I want to know, are ADHD medications actually overprescribed in America? 1,285 children and their parents in four United States communities partook a epidemiological survey in the MECA or Methods for the Epidemiological of Child and Adolescent Mental Disorders Study. This particular study focused on three main aspects: the frequency of the diagnosis of ADHD itself, medication prescription, and alternate methods such as psychosocial services. For the results of ADHD diagnosis, only 5.1% of all the children had met the full criteria for an ADHD diagnosis. Although, when it comes to the prescription of stimulants, 12.5% who met the ADHD criteria were treated. This was accurately prescribed, however, due to the fact that these particular children had very high levels of ADHD symptoms. This study itself can not prove that there is not an over prescription of stimulants in ADHD children, simply that it is too small and that is it a survey. 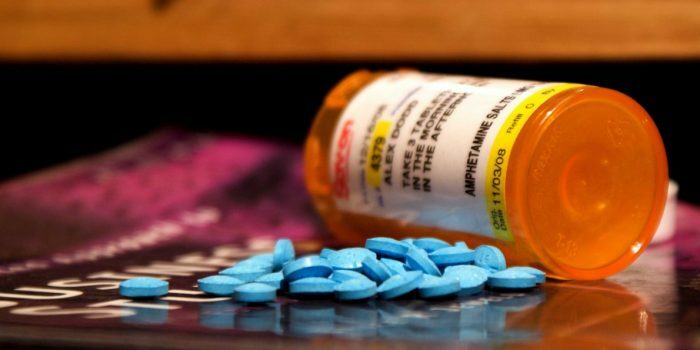 However, this study supports the claims that medication is not over prescribed due to the fact that most of the ADHD diagnosed children were not prescribed the medication. This shocked me because most of the articles I read supported the common claim that this over prescription is absolutely prevalent. 3,082 United States children aged 8-15 were surveyed from 2001-2004. Of those children, 8.7% met the criteria for ADHD. Of the 8.7%, 38.8% of those children were prescribed medication. Surprisingly, the poorest children in the study were the least likely to be given ADHD medication despite the fact that they are the most likely to have ADHD. This study is difficult to say whether medication is over prescribed or not because most studies, like this one, fail to touch upon whether the medication is really needed as compared to their diagnosed ADHD status. I was curious how this was concept was in children outside of the United States to see if they were having the same “problem”. A structured interview regarding 1,897 Latino/Hispanic children aged 4-17, was conducted in Puerto Rico to see if they are treated with medication for ADHD or not. Only around 7% of the children diagnosed with ADHD, and only 0.2% without a diagnosis were treated with medication.According to this population, medication prescription is actually under prescribed rather than overprescribed. However, A study in Iceland (a country with a similar stimulant usage as the US), ⅓ of the youngest children studied were 50% more likely to not only be diagnosed with ADHD, but also prescribed medication. “Are ADHD Medications Overprescribed?” WSJ. Wsj.com, 14 Sept. 2012. Web. 27 Nov. 2016. “Are Stimulants Overprescribed? Treatment of ADHD in Four U.S. Communities.” Are Stimulants Overprescribed? Treatment of ADHD in Four U.S. Communities. N.p., n.d. Web. 27 Nov. 2016. Froehlich, MD Tanya E. “Prevalence, Recognition, and Treatment of Attention-Deficit/Hyperactivity Disorder in a National Sample of US Children.” Attention Deficit/Hyperactivity Disorders | JAMA Pediatrics | The JAMA Network. N.p., 01 Sept. 2007. Web. 27 Nov. 2016. <http://jamanetwork.com/journals/jamapediatrics/fullarticle/571105>. “A True ADHD Epidemic or an Epidemic of Overdiagnosis?” Psychiatry Advisor. N.p., 11 Mar. 2016. Web. 27 Nov. 2016. This entry was posted in Uncategorized on November 27, 2016 by Rebecca Jordan Polaha. Great post, found all three studies interesting. I was drawn to your post as I myself have been thinking of getting tested for ADHD. This is something I do believe I have but am not a fan of medications, especially those that can be addicting. As for over prescription, I do think it is sometimes just handed out to kids without proper testing. Living in a college town for most of my life I know people who don’t take their prescription at all but sell it to other students. Ive been told that during finals week prices rise and students are willing to pay what ever they need to get medications such as Adderall. Which some consider cheating and universities have had debates on testing students. I don’t think their is any definitive test out to tell if a person has ADHD, until progress is made on that I think there will be both overprescription and under across the world. This article talks about brain scans and how they could possibly help determine if you have ADHD, but its expensive at the moment. Hopefully a low cost solution is found in the near further. This is a very well supported and researched article. Another reason I have found for over prescribing is misdiagnosis. I have, in my life, met with neurologists that have told me that often times children are diagnosed with adhd and prescribed adderal when they really are experiencing anxiety, depression, and or symptoms of ocd. This fallacy contributes to the over prescribing you have explained here and doesn’t help to fix the actual problems the child in question is dealing with. This post is very interesting because it is about something that I have always wondered. From personal experience in knowing people that are prescribed ADHD medicine I sort of question sometimes why they truly are. I question this because when they are off their meds I have seen them just as capable of doing things and not being distracted as with them taking them for the day. While researching to see if it truly is overdiagnosed I found a short article that you should take a look at from the Huffington post about how is it overdiagnosed. This post immediately caught my eye. It is very well written and researched. I think you made good points and I’ve always thought this to be true about overprescribing. Children aren’t supposed to be still for 8 hours a day and told what to do. I believe your ending statement because you truthfully cannot fully prove which children actually have ADHD. Both sides have compelling arguments and people start to get offended when you contradict what they are feeling. Overall, great post.